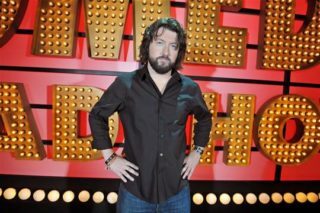 Bio: “Brilliant, thought-provoking and laugh out loud funny” – TIME OUT As well as having appeared on BBC’s 'Michael Mcintyre Comedy Roadshow', 'Showtime’s Live' from Amsterdam and 'Money, Money, Money', his own stand-up documentary for RTE, Irish comedian Keith Farnan has performed at festivals across the world. His Edinburgh Festival shows have proved a powerful mix of the personal and the political and have sold out their runs at the major comedy festivals in the UK as well as the Soho Theatre and Royal Festival Hall in London. Radio appearances include captaining the panel show, 'Bad Language' for BBC Scotland, BBC Radio 4’s 'Loose Ends' and BBC Scotland’s 'The Guessing Game' with Clive Anderson. Description: Keith brings his natural Irish charm, energy and creative comedy flair to all voiceovers. His voice is conversational, warm and engaging, 'matey' and he's brilliantly versatile. Keith is currently the continuity voice of 'Dave' and recently been chosen as the voice of Irelands 'Subway' advertising campaign.